The posterior cruciate ligament (PCL) is one of the two cruciate ligaments of the knee. It resides just behind the anterior cruciate ligament (ACL) in the center of the knee. It is partially responsible for stability of the knee, and it is directly responsible for preventing the tibia (shin bone) from being displaced behind the femur (thigh bone). While a PCL injury is much less common than injury to the ACL, this injury is being recognized more frequently in sports. Among the ways an athlete may injure his PCL in sports include landing on his knee with his foot plantarflexed, or pointing down. He could be hit on the front of his knee at the top of his tibia. He could also hyperextend his knee. While these injuries can occur by themselves, they can also occur in a manner in which multiple ligaments are torn. 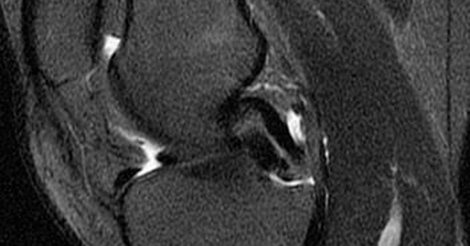 Often the orthopaedic sports medicine surgeon will order an MRI to determine if this is an isolated injury or one in which multiple ligaments and even other structures are injured, such as meniscal tears. PCL Injuries rehab vs. repair. Which brace is best for a PCL Injury. Treatment depends on the nature of the entire injury. Occasionally, isolated injuries to the PCL can be treated nonoperatively. In this situation, aggressive rehabilitation, especially emphasizing quadriceps strengthening, is enough to return the athlete back to sports. Combined injuries, such as ACL and PCL injuries, or PCL and posterolateral corner injuries, often require surgical treatment. Occasionally surgery involves repair of the ligament when it has pulled a piece of bone off the ligament attachment. More often, surgery involves reconstruction of the ligament, meaning that tissue from the athlete’s knee or a cadaver knee is used to make a new PCL. This is typically a very significant injury, whether treated operatively or nonoperatively, that can take a long time for the athlete to recover and get back to sports. Rehabilitation can take many months even if surgery is not performed. If surgery is performed, it can often take six to nine months to get back to sports.